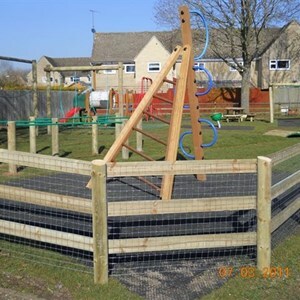 The Council is responsible for all of the play facilities in Bourton and dealing with youth related issues in general. 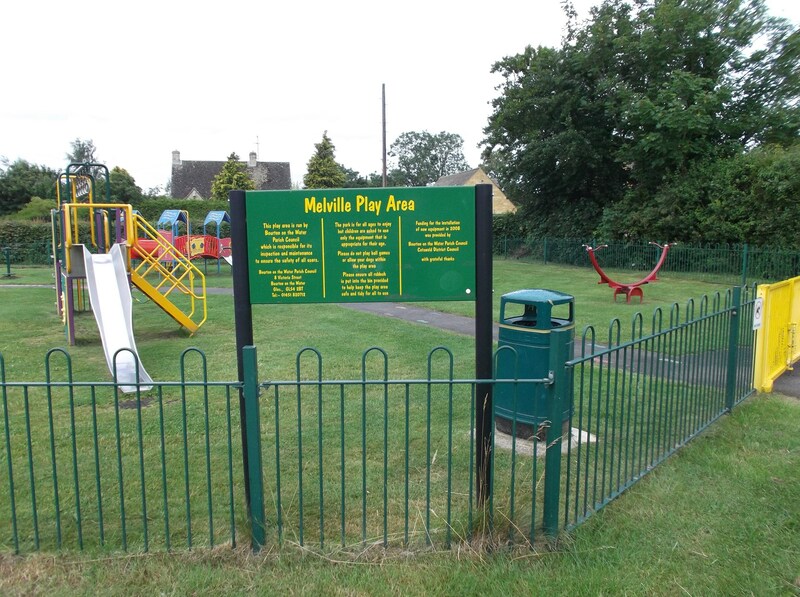 There are currently 3 local play areas, located at Melville, the Naight and Rye Crescent. The Committee is responsible for maintaining existing equipment, reviewing the equipment provision at regular intervals, and commissioning new equipment as appropriate, subject to prior identification of need and funding. This play area is owned by the Council and contains an enclosed, equipped play area and a grassed open space with a football goal and 2 pieces of Exercise equipment. Vehicular access is off of Melville, and there are 3 pedestrian entrances off Station Rd, Melville and Kings Meadow. 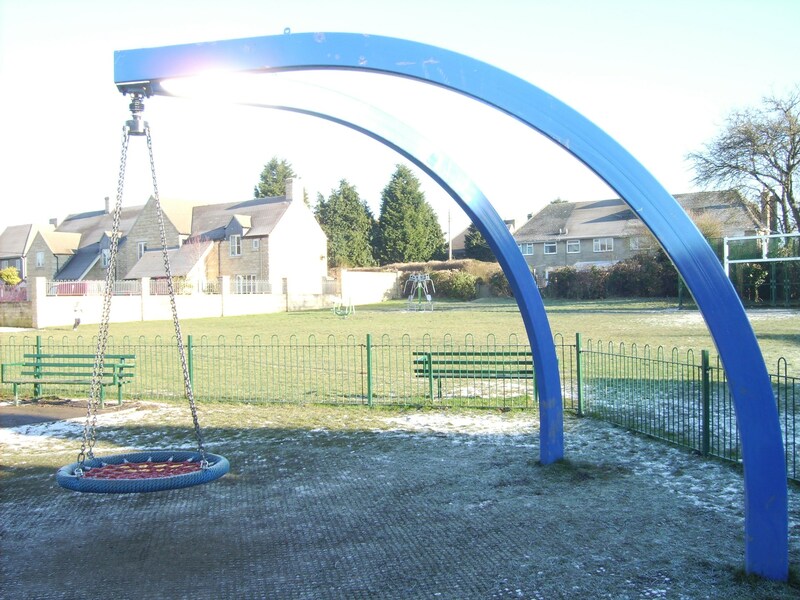 New play equipment suitable for a range of ages was installed by Wicksteed in 2008 after the previous equipment had been removed several years earlier due to persistent anti-social behaviour problems at the site. The installation project also included various works to improve the drainage of the field, although as this is a naturally poorly drained area the drainage issues can only be mitigated to a certain degree. The selection of new equipment was made following an Open Day at Melville which was attended by various play equipment suppliers who provided information and examples of their proposals to the general public. Funding towards the cost of this project was secured by seeking a developer contribution from Bloor Homes on construction of Bourton Chase. 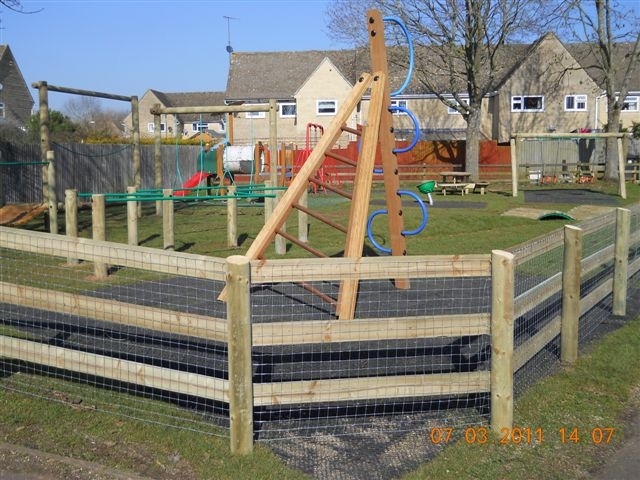 Since 2011 the Parish Council has commissioned Play Gloucestershire to provide play sessions which are supervised by their Play Rangers. These sessions take place in all weathers and promote active, outdoor play, and include a wide range of activities, including cooking, games and general informal play. During school term-time the sessions take place every Wednesday afternoon between 4pm and 6pm – no booking is necessary. During school holidays the dates on which day-time sessions take place will be publicised in advance. Details of current sessions are displayed below and report cards from previous sessions are also available on the links at the foot of the page. The service is reviewed annually and any changes to the service provision will be publicised on this web-site and on Council’s social media posts. This play area is also owned by the Council and is located at the end of the Naight Rd which provides both vehicular and pedestrian access. The site consists of an enclosed play area and a large grassed open space with football goals. 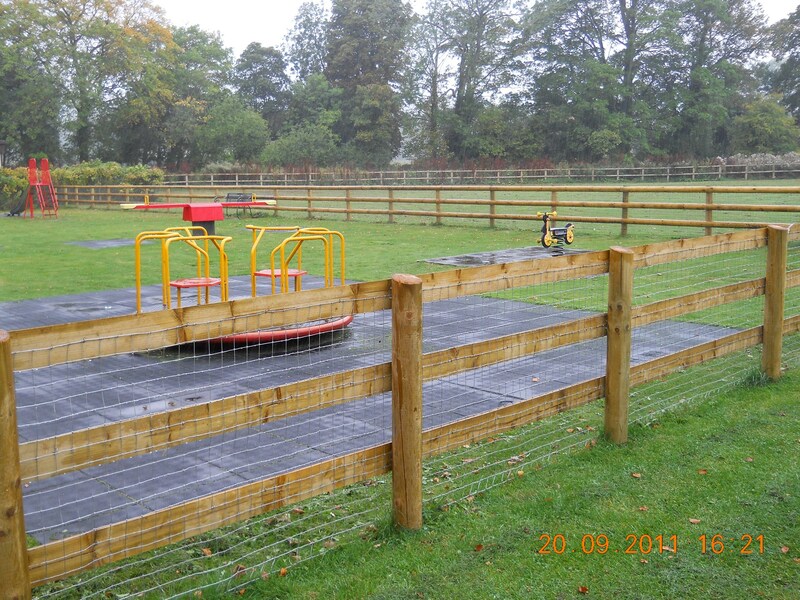 The play area contains equipment aimed at the younger (toddler +) age range, and 2 new pieces of age appropriate equipment were installed in 2018, at the same time that the football goals were renewed and re-sited. Funding for this equipment was donated by Tesco Bags of Help, Gloucestershire Playing Fields Association and Gloucestershire County Council's Active Together Grant Scheme. The Council currently occupies this land under the terms of a lease issued by Cotswold District Council, which expires in May 2024. 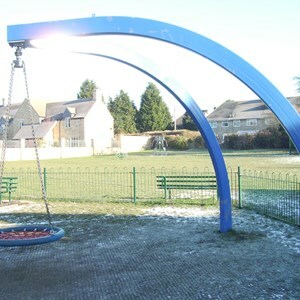 At that time the Council will review the need for this play area and negotiate a renewal of the lease, as appropriate. 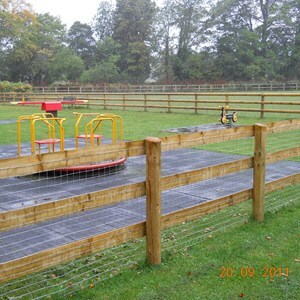 The site comprises a fully enclosed play area with a range of wooden equipment appropriate for younger and older youngsters, and is closely surrounded by housing on 3 sides. In 2011 most of the old equipment was removed and replaced by a range of equipment supplied by Greenfields, with wooden equipment chosen specifically for the softer visual impact in an environment where residents live in very close proximity. The Council engages a contractor to cut the grass at all play areas on a fortnightly basis between April and October inclusive. The Council is also required to commission an annual independent safety inspection at which the equipment is inspected to ensures it is safe and meets industry standards. This inspection is usually scheduled in early Spring to ensure any issues arising can be actioned before the period of peak usage. Additionally, the Council employs a local resident who carries out weekly informal inspections of all play areas and reports damages or defects to the Council office for immediate action. 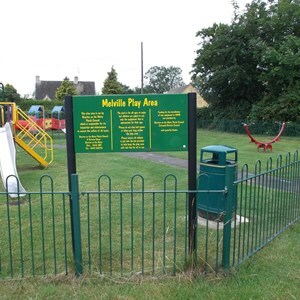 Given the very high use at Melville, the Council employs a resident to litter pick that play area and field twice weekly, which also helps to ensure the playing field remains free of items which could potentially cause a safety hazard. Youth Club: Prior to 2017 GCC were responsible for the provision of a Youth Club service, but due to budgetary constraints GCC’s Youth Club closed in 2014. Since January 2017 the Council has been funding a Youth Club, with weekly sessions taking place at the RBL Hall on a Monday evening. Our Youth Club page provides information on the age range provided for and the type of activities which take place, which also occasionally include trips out. The sessions are supervised by members of CMAS’ youth team, and have been funded with the assistance of grant monies provided by Glos. Police & Crime Commissioner’s Fund. Youth - General: The Council acknowledges there is a need to provide for young people over and above the provision of play equipment or a Youth Club, and this is an ongoing topic for consideration by the Committee. As part of trying to meet the needs of all young people, the Council has at times funded Outreach sessions, with grant assistance from Moore Friends. These sessions were aimed at reaching out and engaging with young people who are not, traditionally, joiners of organised clubs or activities. The sessions have had varying success and their provision is constantly under review. The Committee is engaged in considering various different formats of youth provision which might help meet the specific local need, and which underline the Council’s commitment to and valuing of young people as an important sector of the community. Various actions are under consideration, such as the organisation of social activities, the provision of social/mental health assistance to families and young people in need, a Youth Shelter or a permanent youth base. Progress on any of these issues is reported in regular Committee and Council minutes.